Academics from the School were invited to appear at the international renowned Hay Festival this year as part of the Cardiff University series. 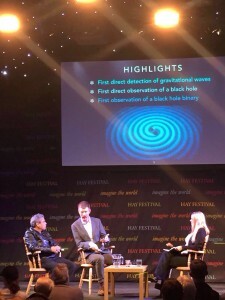 Professor Sathyaprakash and Dr Patrick Sutton told the audience about the incredible science and personal discoveries behind the detection of gravitational waves in February this year. 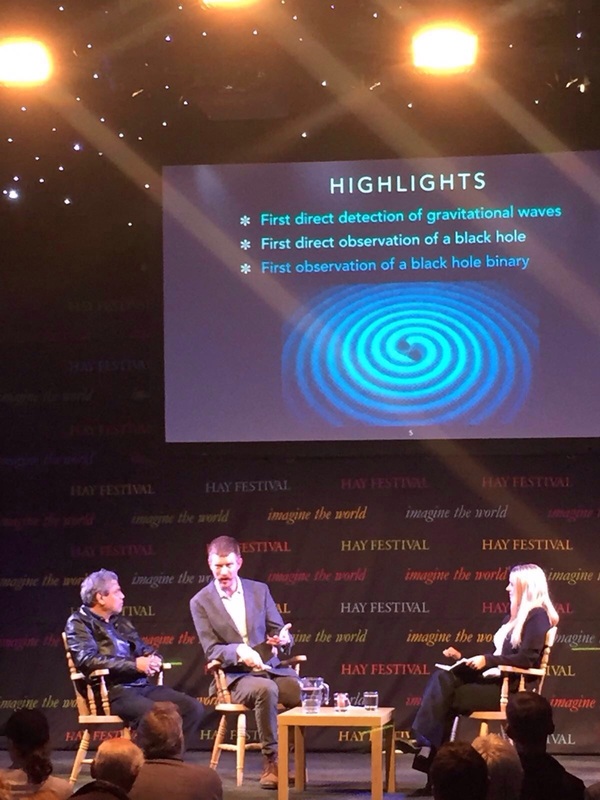 This event, chaired by Professor Haley Gomez, introduced the LIGO project (Laser Interferometer Gravitational-Wave Observatory) and the amazing achievements required in order to detect gravitational signals from colliding black holes. Professor Sathyaprakash said: “Gravitational wave observations provide a new tool to understand stupendously energetic phenomena in the Universe such as colliding neutron stars and black holes, collapsing stars and supernovae and flaring and rapidly spinning neutron stars. Dr Paul Roche from the School also talked about asteroids and explained in detail how an asteroid wiped out the dinosaurs! For more information, see the cardiff university news site.